Bitcoin rallied slightly during the trading session on Friday, breaking above the $8100 level. 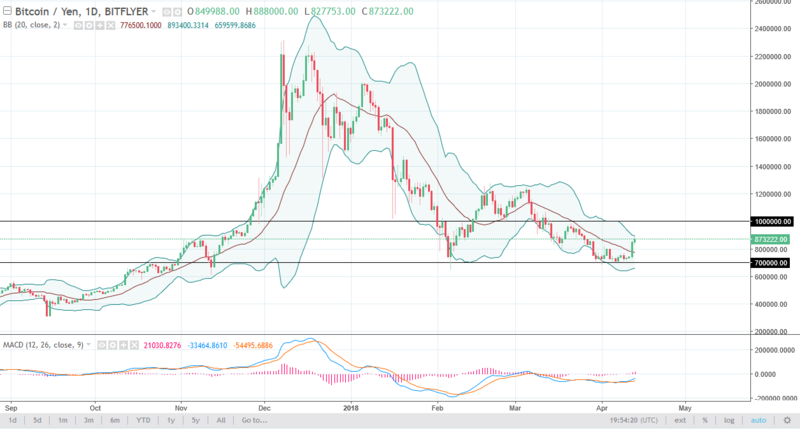 The market looks like it is ready to continue to go higher, perhaps reaching towards the $9000 level. I believe that the $6500 level underneath will continue to offer support. 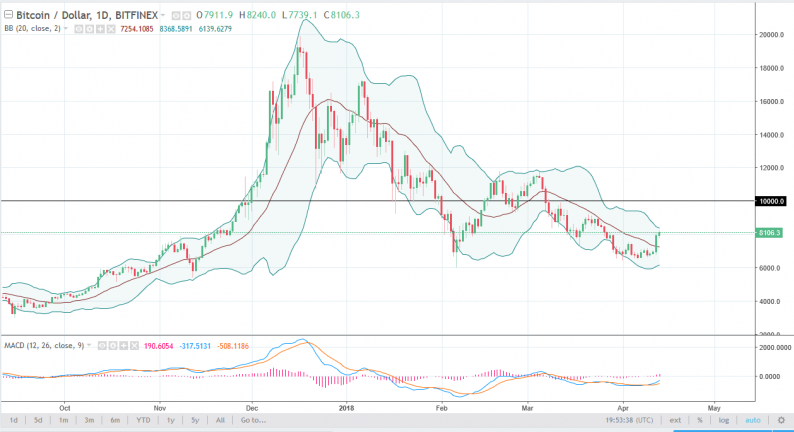 I believe that the $6000 level underneath is the temporary “floor” in the market, and I think that the market participants will continue to be attracted to that level. I think the $10,000 above is going to continue to be resistive though, so I think that we may get another day or 2 of bullish pressure, but I would anticipate that a pullback is likely. That’s likely to be an opportunity for buyers to try to build up enough momentum to go and challenge that area. I think that we will continue to see volatility, but the Thursday session has given hope to Bitcoin buyers again. Bitcoin markets rallied a bit during the trading session against the Japanese yen as well, but not nearly as strong as it had on Thursday. I think that the market continues to try to find higher levels, but I believe that the 1 million level will be a major barrier. I suspect that we will get short-term bullish pressure, and then a bit of a pullback. I don’t think that were to break down though, I think that the ¥700,000 level will offer a bit of a floor in the market. If we did breakdown below there, the market could probably go down to the €600,000 level. I believe that a range bound trading system is probably the best way to play this market, with the ¥700,000 level be in the bottom, and the ¥1 million level be in the top.